I'm not a follower of Spider-man comics so this book to me is more of an introduction to the history of the series. For fans, it's a look at the evolution of Spider-man over the years from the 60s to the 21st century. Movies are not included. The content is presented in chronological order. In between there are chapters for Spider-man's enemies and the ladies. The selection of comic pages included is great. It covers the main story arcs and gives a lot of flashback to the characters. Commentaries are rather brief but provide enough information to the stories. 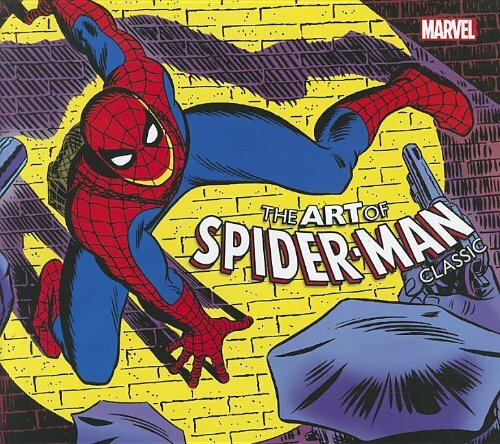 There are also short profile for the artists who have drew Spider-man over the years, like Ditko, Romita Sr, Romita Jr, Mooney, Kane, Andru, McFarlane, Deodato, and many more. It's interesting to see how the art has evolved, and the style of each artist. Over, it's a good collection for Spider-man fans.